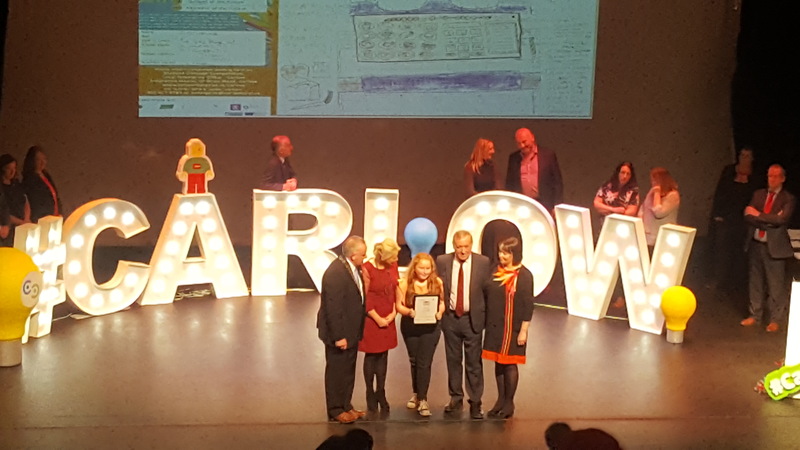 We wish to extend our congratulations to one of our Fifth Class pupils who recently received a prize at Carlow Enterprise Awards. She won an award for her ‘Trolley Jolly Pad’ design which she entered into the Student Concept Competition. Well done.